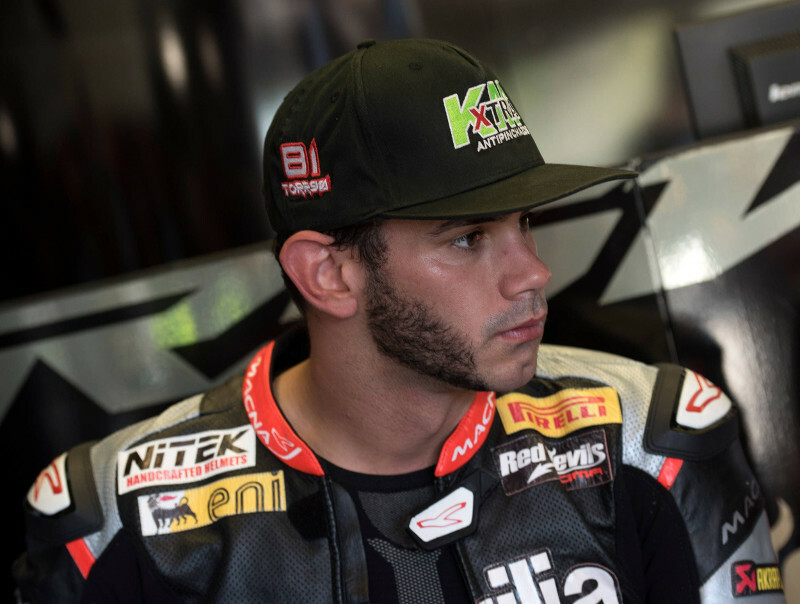 Jerez de la Frontera, 18 September 2015 – Despite a long break, the World Superbike riders only needed a few laps to resume race pace on the first day of practice at Jerez de la Frontera. In decidedly summer weather, Aprilia Racing Team – Red Devils worked on two fronts: assessing the available tyres and managing them over several laps. Jordi Torres, the home town hero, is particularly keen to do well in this round and he showed it in both sessions today. Fifth this morning, where he also had a crash with no consequences on turn 1, the Spanish rider put the third best time on the sheets in FP2, at just over a tenth from the top time. In the final stages, as he was continuing to improve, he fell victim to a second crash, this time on turn 2. This ended his session early, but with good sensations astride his Aprilia. Leon Haslam also expressed his satisfaction with his return to the track. The very focused English rider set up both sessions looking for the best way to look after the tyres, a fundamental factor for the race on this track. His fifth place time in FP2 (seventh in the combined standings) is a good starting point for the work that needs to be done.